Are you using the right tools to win over today’s largest pool of home buyers? According to Zillow.com, 50% of today’s home buyers are aged 35 and younger, which means that Millennials are a key niche for real estate agents to target. These first-time home buyers are accustomed to using newer technology and comfortable doing their own research online before they start working with any particular agent. Whether you’re marketing their home to sell or trying to win the listing appointment from this age group, the decision to hire you (versus a competing agent) comes down to one major factor — dynamic visual content such as 3d home photography and 3d virtual tours. Today’s power buyers are highly influenced by the presence and quality of the visuals you post of a property, which means that you will lose business if your marketing assets aren’t as effective as your competition's. Note: 76% of home shoppers will drive by to see a home if the online photographs are compelling enough and 64% will stop in to explore. Previously, agents could get away with only traditional real estate photography, but savvy real estate pros know they need to go beyond 2D if they are going to be successful. 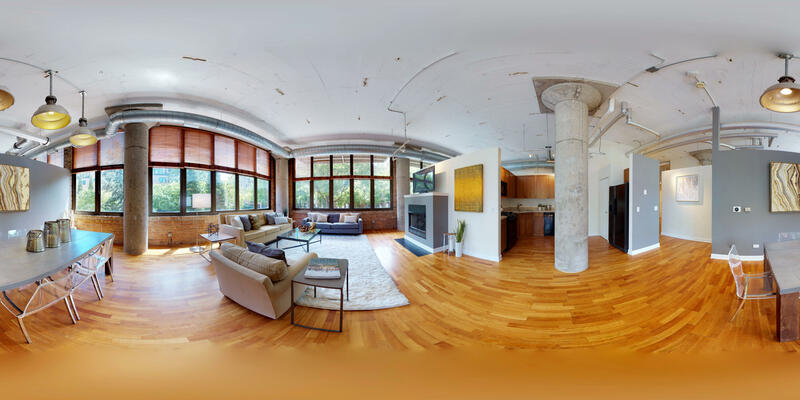 Dynamic visual content, like 3D and VR, are key components to standing out from the competition and effectively reaching this hot real estate market of buyers. With Matterport, you can capture and market the visual details and nuances of a property with stunning 2D and 3D photography. Unlike every other camera on the market, Matterport enables real estate professionals to create stunning 3D Dollhouse visuals on-demand, something that no other camera can provide - while also capturing hi-res, print-ready real estate photography. In the vast majority of Matterport’s advertising efforts, we find that the 3D Dollhouse produces the most engagement and traffic. These Dollhouses can also be included in your print advertisements, online marketing, and more. When capturing a Space, Matterport’s 3D camera does more than take photos and create immersive 3D and VR experiences. 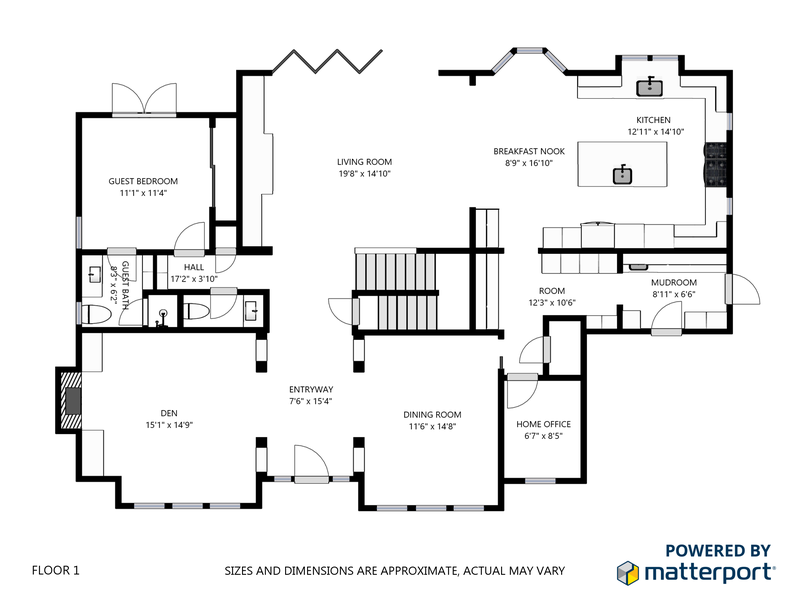 It also takes dimensional data which can be used to generate 2D black-and-white floor plans. These can be used to market your real estate business to home buyers who are comfortable inputting floor plans into design programs, so they can map out their furniture before they move in. These can be also be posted on your website or social media platforms like Facebook or LinkedIn. Ever wanted to post panoramic images to Facebook and Google of a property? With Matterport, agents (or their Service Partner) can pull these images directly from Matterport 3D models and post them to your favorite online hubs to drive additional traffic to your website, property landing pages, and more. These are highly engaging visuals proven to drive more interest to properties and help agents stand out online. Note: the below 360 photo is the full image. It would be displayed as an explorable panoramic image if uploaded to Facebook or Google. Once a property has been captured and uploaded into the Matterport system, agents also gain access to variety of additional visual assets - including teaser videos and GIFs. These videos are automatically generated from your Matterport 3D tours and feature Dollhouse views and interior views. These can be used on your social media platforms, website, or email campaigns. 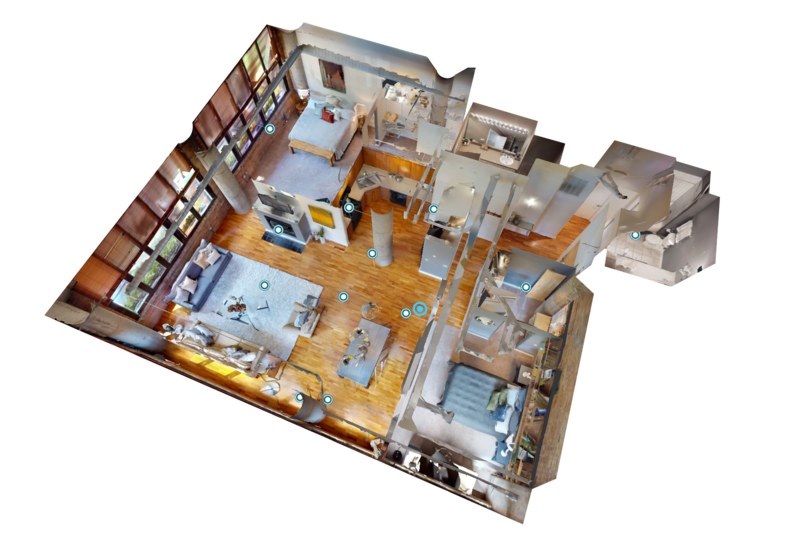 Innovative all-in-one solutions like Matterport enable agents to transform a single 3D photo shoot into not only 2D photos, but also documented floor plans, 3D virtual tours, and virtual reality (VR) experiences. These are more than pictures. These are complete, three-dimensional representations of a real-world location. From any desktop or mobile device, social platform, or VR device, your prospects can actually interact with the images to get a real sense of how it would be to live in the space. And while the technology is new, it’s familiar. Matterport enables you to combine traditional and cutting-edge, non-traditional marketing strategies and media in whatever way works best for you in the evolving landscape. Take your real estate marketing to the next level with cutting-edge 3D real estate photography. Get in touch with our team to learn about our all-in-one 3D camera or connect with a Matterport Service Partner today who can do the work for you.